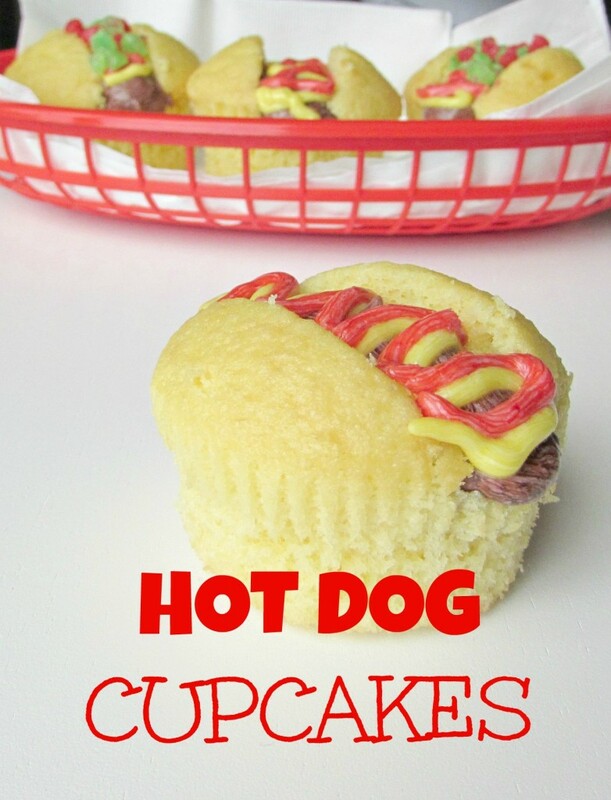 Last summer I made hot dog cupcakes for a summer party and they were a huge hit! 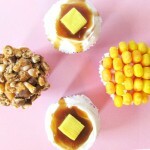 I think any cupcakes that resemble savory food are just too much fun! As a kid I was the pickiest eater and hot dogs are one of the few things I would eat so I am very familiar with them. I know they aren’t the healthiest food but somehow I survived living off of them(and mac and cheese) until I was 12. Of course Keira is super picky too. She says she likes hot dogs but what she really likes is ketchup buns and eats around the actual hot dog. It seems that anything you did as a kid you seem to get back and then some as a parent, right?! 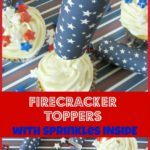 These would be perfect for a fourth of July BBQ or really any summer party. You can serve them in red baskets. 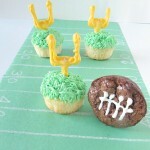 The best part is they are super easy to decorate and any skill level could decorate them. 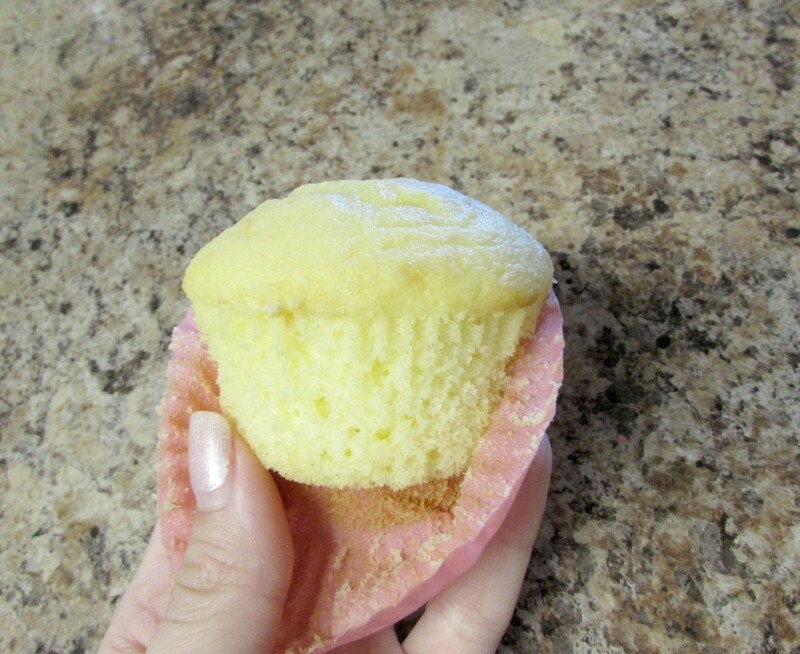 Yellow cake mix for the cupcake, it’s the right color for the bun. 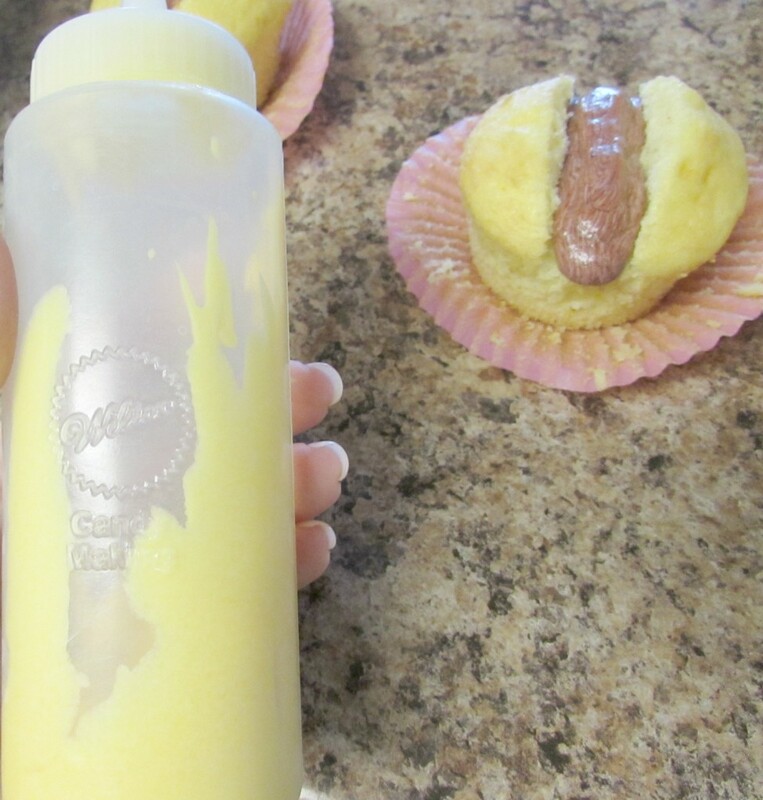 White frosting, red, black and yellow food coloring. 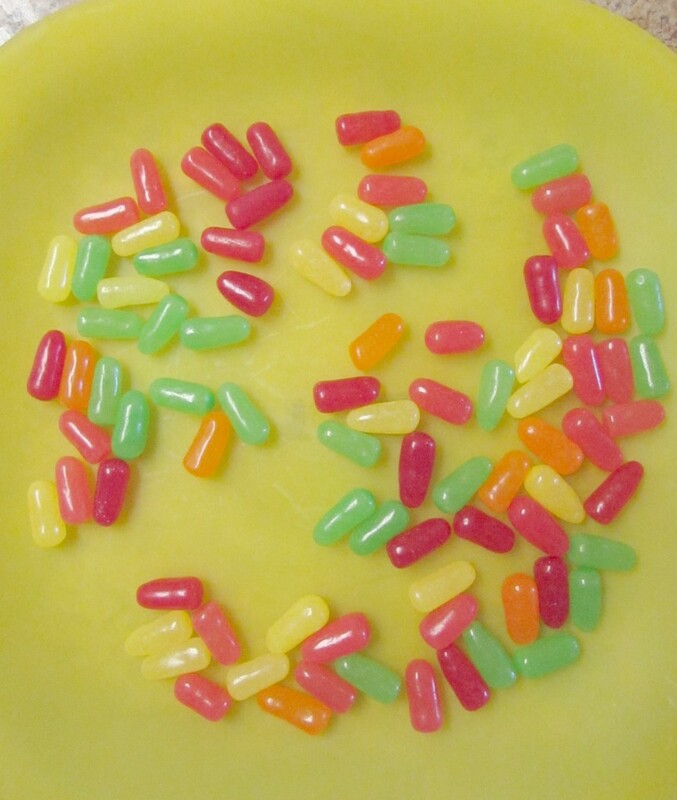 Optional- Mike and Ike candy. 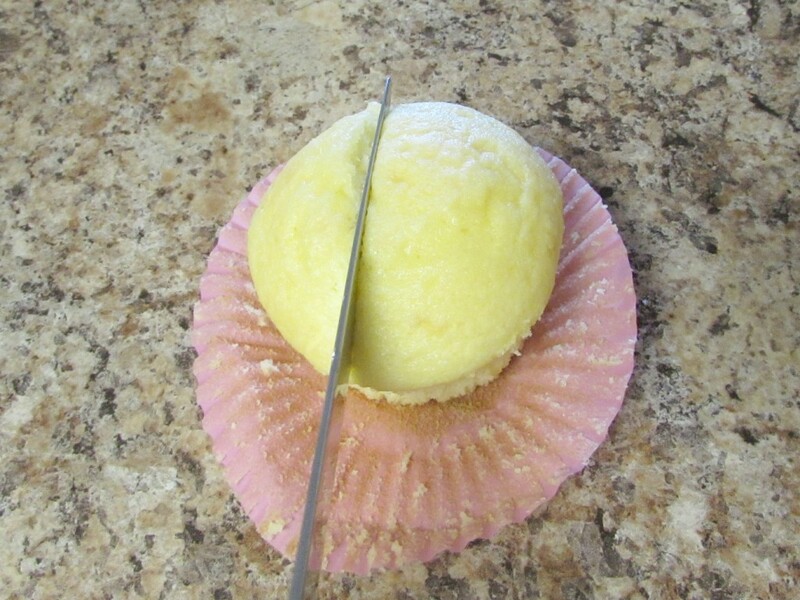 Remove the cupcake wrapper. 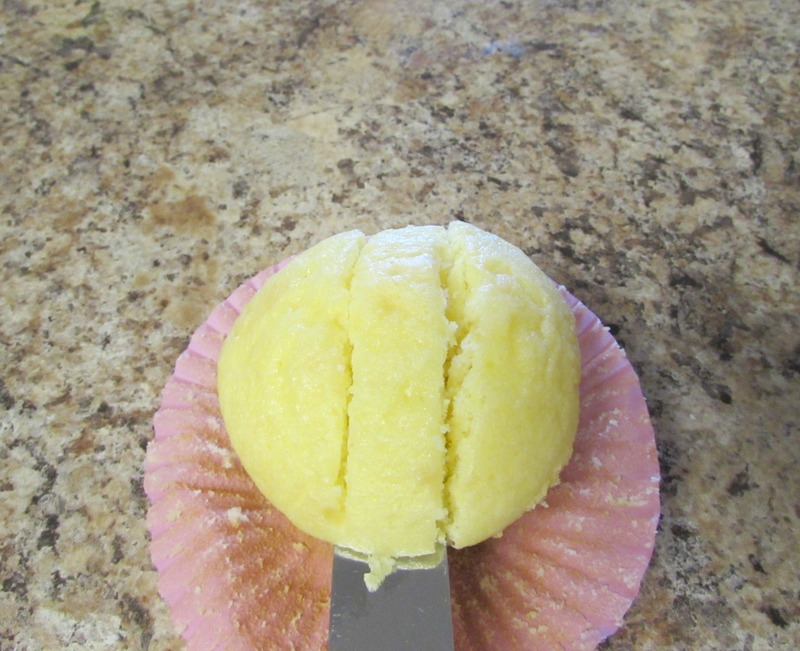 Cut out the top middle third section of the cupcake as shown. For the brown I mixed 4 drops of red and 2 drops of black. This isn’t the most attractive color on its own but it contrasts nicely with the bright red and yellow. 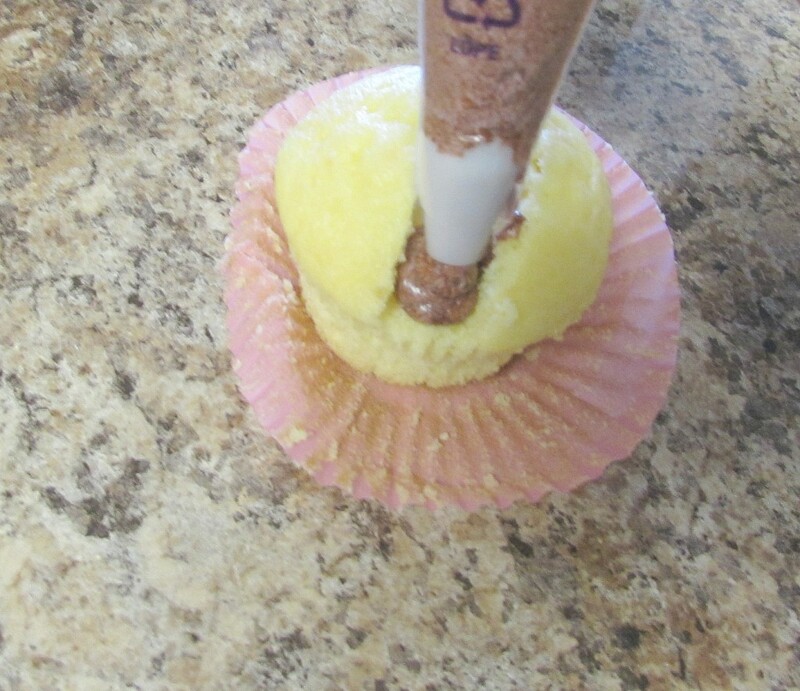 Use a large round decorating tip. 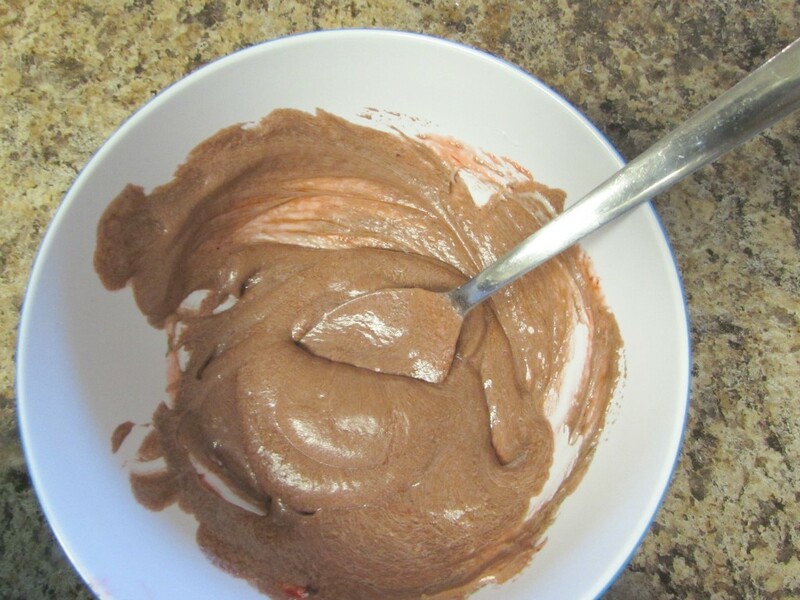 Fill the middle third section that you cut out with the redish brown frosting. For the red and yellow I just added a couple drops of food coloring to the frosting for each since you don’t need that much frosting for this part. 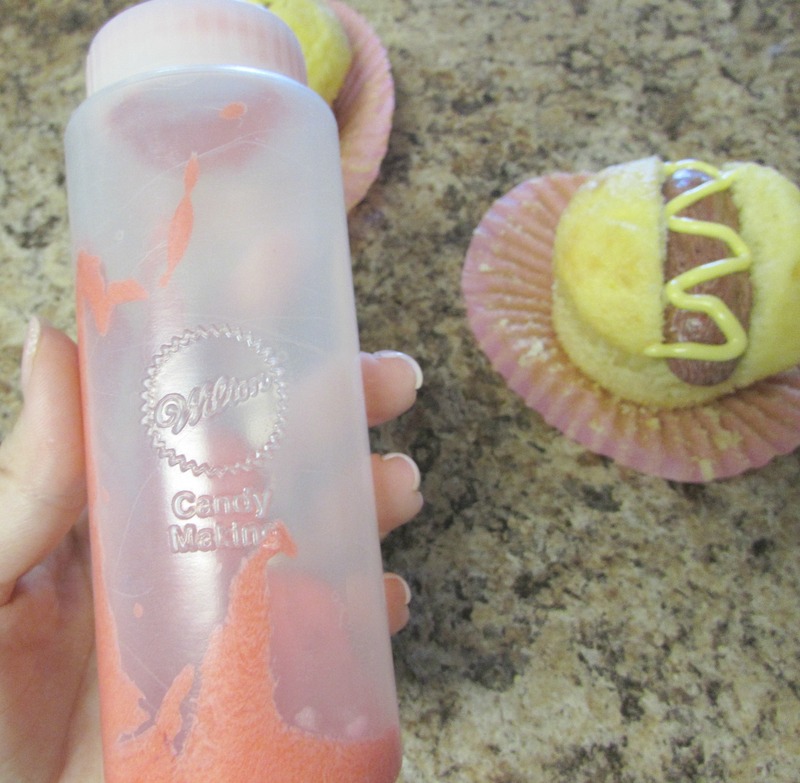 I put them in the Wilston candy making bottles to spread but you could use plastic bags and just cut a very small hole in the corner to spread it. 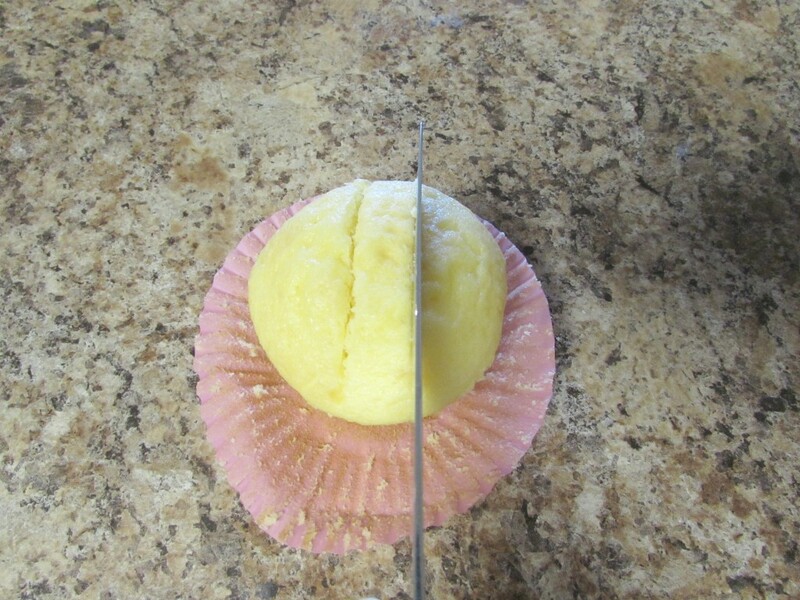 When I use a plastic bag I cut off a really small amount because you can always cut more but you can’t uncut it. 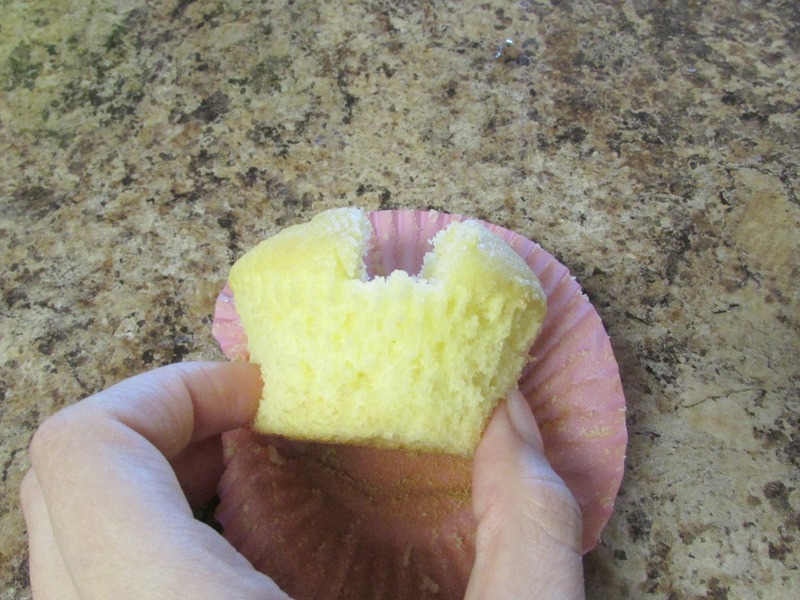 Spread it back and forth over the middle section in a zigzag pattern. Repeat this with the other color. Optional: You can add Mike and Ikes or other colorful candy on top to look like peppers or relish. Just cut them into little pieces. 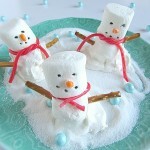 Seriously how easy is that to decorate?! 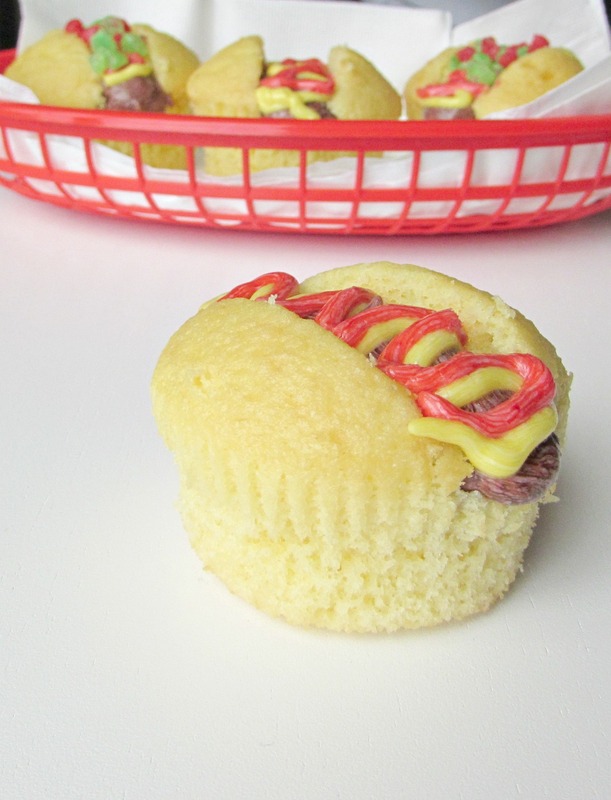 You don’t even really need extra candy just a yellow cupcake and a couple colors of frosting. 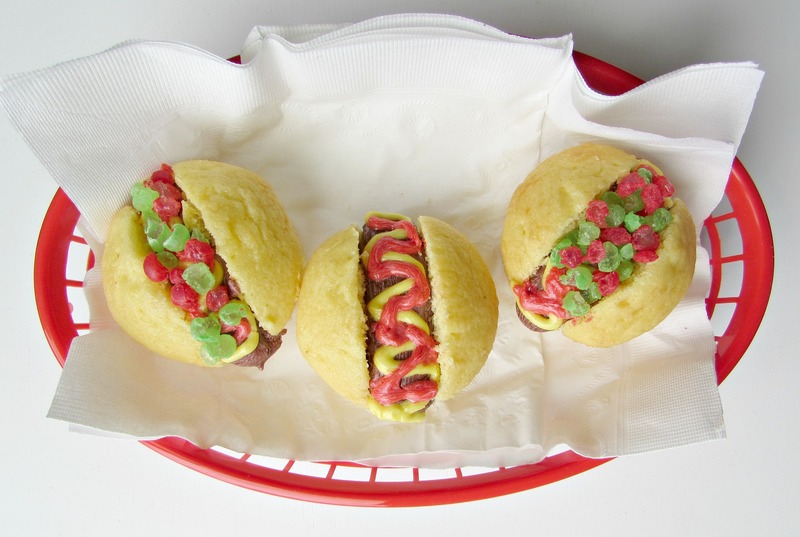 « Sombrero Candy and Cactus Cupcakes! these are the CUTEST!!! my kids would def eat these hot dogs. pinning & sharing these guys!! Thanks so much Amanda, kids definitely love them! So CUTE!!!! 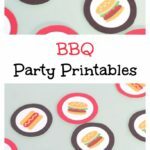 Thank you for linking up to The Party Gals Linky Party. Aren’t theses adorable! Thank you for sharing how to make them for people like me who want to, but have no clue how!!! 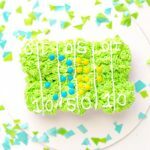 Thanks, they really are easy to make! These are sooo cute! Thank you for linking up to the Merry Monday Link Party!